This was my first test strip for double toning with selenium and brown toner. 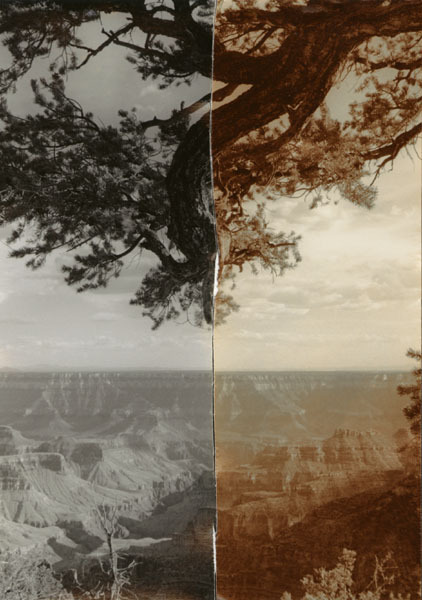 The image on the left is toned in selenium only, whereas the one on the right is toned in both selenium and brown toners, each for two minutes. Eventually I discovered that the longer the brown-toned print remains in the wash prior to placing it in hypo clearing agent, the more coppery-brown it will become.